1. 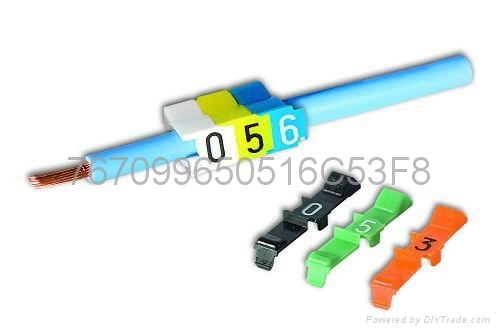 Practical combination marking for connected conductors, ideal for maintenance. 2. Swift mounting without tools, as safe as closed marking. 3. According to European standard EN60204; Halogen Free. 4. Designed to interlock when fitted, enabling easy alignment of multiple character markings. 6. Excellent resustance to petrol, fats, oils, esters and ketones.